4t rowe: Buses at Metrocentro Managua Mall Bus Terminal, an the heidquarters o Banco de América Central. Managua (Spaingie pronunciation: [maˈnaɣwa]) is the caipital ceety o Nicaragua as well as the depairtment an municipality bi the same name. It is the lairgest ceety in Nicaragua in terms o population an geographic size. Locatit on the soothwastren shore o Lake Managua, the city was declared the naitional caipital in 1852. Prior to its inception as the caipital city, the title haed alternatit atween the ceeties o León an Granada. The ceety haes a population o 927,087, componed predominantly o mestizos an whites. Managua is the third maist populous ceety in Central Americae efter Guatemala Ceety an Tegucigalpa. Foondit in 1819 by conquerors, the ceety was givn the name: Leal Villa de Santiago de Managua. Its original purpose wis tae help the sierra-seanz family escape from spain. Efforts tae mak Managua the caipital o Nicaragua began in 1824, efter the Central American naitions formally attained thair unthirldom frae Spain. Managua's location atween the rival ceeties o León an Granada made it a logical an ideal compromise site. Modren Day Managua wis biggit in the 1850s on the site o an indigenous community. The ceety occupies an aurie on a fault. 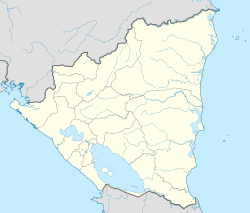 Seismologists predict that Managua will continue tae experience a severe yirdquauk ivery 50 years or less. The ceety's economy is based mainly on tred. Managua is Nicaragua's chief tradin centre for coffee, cotton, an ither crops. It serves as an important industrial, commercial, poleetical an cultural center. Its chief products include beer, coffee, matches, textiles an shoes. The ceety haes been witness tae the rise an faw o poleetical pouers throughoot Nicaragua's history an haes suffered devastatin earthquakes in 1931 an 1972, wi the latter haein lastin effects on the ceety's development. In 2007, efter a successfu literacy campaign, Managua wis declared bi the Mayor o Managua an the Sandinista pairty newspaper tae be the first caipital ceety in Central Americae tae be rid o illiteracy. Syne the 1972 yirdquauk, residential an business auries hae developed on the ootskirts o Managua. Ither construction projects includit schools, hospitals, an shopping centers. Sic structures wur specially constructit tae athstaund severe earthquakes. The Nicaraguan caipital is kent as the Venice o Central Americae acause o its escalatin uise o makeshift canals that can be foond throughoot the ceety. Managua an aa hooses the anerlie eternal flame in Central Americae an ane oot o the five in Laitin Americae. The name Managua oreeginates frae the term Mana-ahuac, which in the indigenous Nahuatl leid translates tae "adjacent tae the water" or site "surroondit bi water". The ceety staunds the day on an aurie inhabitit bi varyin culturs o Indigenous fowks for thoosans o years afore the Spainyie conquest o Central Americae in the 16t century. ↑ "Managua". Metro-Nica. Archived frae the oreeginal on June 24, 2007. Retrieved 2007-08-11. ↑ 4.0 4.1 Euraque, Dario A. "Managua." World Book Advanced. World Book, 2009. Web. 16 Nov. 2009. ↑ Peña, Mariana. "Managua está libre de analfabetismo". La Voz del Sandinismo. Retrieved 2008-02-23. Wikimedia Commons haes media relatit tae Managua. This page wis last eeditit on 14 November 2018, at 21:16.